Eric Kasimov, Founder of SportsEpreneur.com, believes that sports and business have a lot in common. He and his team of content creators, designers, and researchers use their love of the game to support and inspire their fellow entrepreneurs. SportsEpreneur is a content platform that lives at the intersection of sports, life, and business. As a self-started and self-funded business owner that is passionate about helping others build their brand and legacy, Eric created SportsEpreneur. SportsEpreneur is a derivative of who Eric is and his livelihood, KazSource—it’s how he can teach and share what he’s learned and he’s learning as a businessman but in a fun and relatable way. Eric is the founder, owner, and CEO of KazSource Inc., a modern day production company that helps business leaders feel optimistic about their business. The KazSource family includes, KazCM, a content marketing agency, KazSource Insurance, a life insurance brokerage group, Entrepreneur Perspectives, a podcast for entrepreneurs, and of course SportsEpreneur. 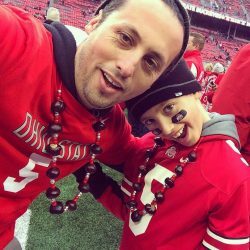 Growing up in Buffalo, NY and in a family of Ohio State Buckeyes, sports have been in Eric’s life since he can remember. Eric now resides in Charlotte, NC, where he plays sports with his kids and wins every driveway basketball game against his son (for now!). 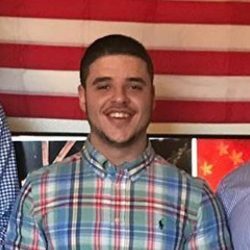 John Priore, Content Marketer, has a passion for sports and business. John graduated from Western Carolina University in the spring of 2018 and loves to pass along what he learns with you. Sports have been a big part of his life since he was a child, in Long Island, New York, and he still suffers from an enthusiasm for the Mets, Jets, and Knicks. In his free time, you can find John working out and playing pickup games. Through SportsEpreneur, he helps bring a sports fan’s perspective to the business world. Join the SE team — become a guest blogger!